Disclaimer: the below image is how we are being sold the concept of technology and Industry 4.0, however this is not the most accurate depiction. The future is here, and advanced technologies are making their way to the manufacturing floor. Advertising for new technological products may remind you of a scene from Minority Report, which was released 17 years ago. Don’t let these stock images (above) scare you into thinking it is futuristic technology that is out of reach for your company. From radio-frequency identification (RFID) for tracking nearly anything to virtual reality (VR) headsets, we are beginning to see advantages of adopting new technology. 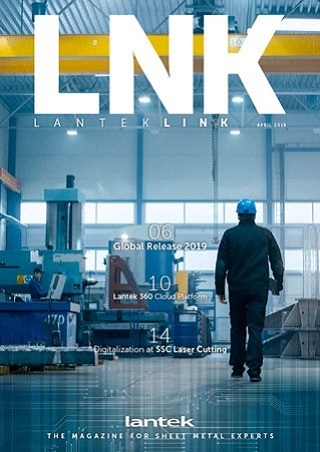 New technologies, many of which may be considered “fads,” are here to stay and are being utilized and implemented in the manufacturing industry to increase productivity, decrease decision making time, and completely revamp the way we work. What manufacturing technology are you talking about? Ultra-Wide Band Location Systems (UWBLS) – essentially an ultra-high frequency RFID that allows for the development of more advanced internal logistics systems. Virtual Reality (VR) – an interactive computer-generated experience taking place within a simulated environment. Augmented Reality (AR) – an interactive experience of a real-world environment where the objects that reside in the real-world are “augmented” by computer-generated perceptual information. Artificial Intelligence (AI) – intelligence demonstrated by machines, in contrast to natural intelligence displayed by humans, that is sometimes referred to as machine intelligence. 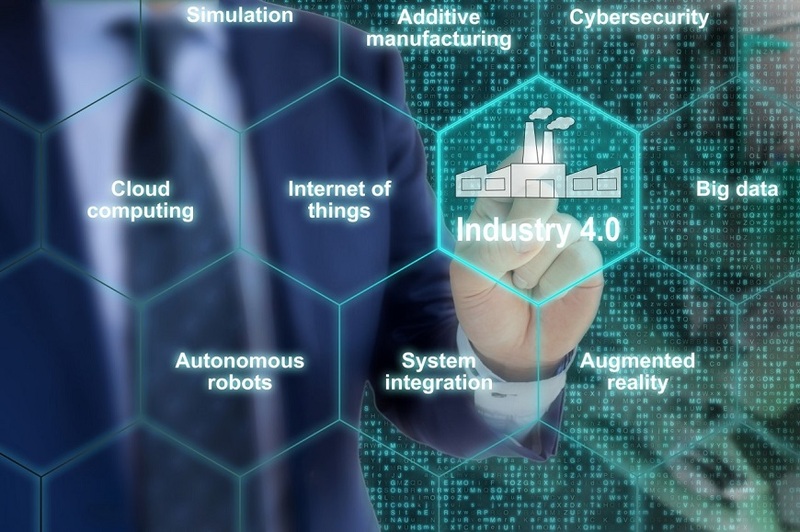 Industrial Internet of Things (IIoT) – the concept of extending internet connectivity beyond conventional computing platforms (PC or mobile devices) and into a range of traditional non-internet-enabled physical devices in the industrial sector (machines or forklifts). Think of the key badge you swipe to get in the door of your plant, or maybe the tag that was taken off the winter jacket you bought at a department store. These little tags, known as RFID chips, have active and passive properties to them. Department stores utilize RFID technology to identify and manage stock as well as a deterrent for shoplifting. I’m sure you have heard the alarms go off a time or two. Okay, it works with department stores, but how can RFID be used in manufacturing? Active RFID tags contain electronically-stored information that can help identify and track objects. The benefits of this technology, unlike barcodes, is that the RFID chip does not need to be within the direct line of site of the reader and may be operational from hundreds of feet away. While RFID tags have been used to track production of large assemblies from start to finish for some time now, UWBLS proves many benefits for the industry. One major advantage of UWBLS is the collection of precise location and tracking data. Why is this important to manufacturers? The biggest advantage is that these can be used on pallets of material or finished products. By utilizing this on pallets of raw material a forklift operator can reference a mobile device as to where that material is in the warehouse, drive there, and be notified once they have arrived at that material. As much as we want to trust everything gets put back in place where it should be, this is not always the case. This will cut down on the time it takes to search for misplaced raw materials to begin the fabrication process. After production is complete and the order is being palletized the information from the tag can be utilized to track the loading and delivery of the item. If you deliver your own product you can equip your trucks with a receiver so when the pallet is loaded it will scan the tag and send the information to the driver’s navigation device. Not only will the driver know where they are going, the customer can then be notified that their pallet has been loaded and is on its way. Once the pallet is removed from the truck it will be scanned once more, allowing both the customer and the fabricator to be notified of the delivery. From a homemade cardboard cutout to the Oculus Rift, virtual reality is becoming more mainstream. How can manufacturers benefit from this technology? Two major benefits we have seen with VR is design simulation and employee training. With VR, an engineer can generate a product and use a VR headset to have a better idea of the finished product. This can also be used for manufacturers looking to acquire new machinery or expand their shops to have the most efficient workflow. Maybe you don’t need to build an addition on your shop, but rather move machines around to create a more efficient shop floor and process. By simulating your shop floor with current machines, you can re-arrange, place new machines, and simulate infrastructure changes such as data drops and electrical runs. Given the cost and intricacies of moving machinery, VR can be utilized to make sure the most informed decisions are made. One major sector we are seeing the benefits of VR is in training new welders. With new simulation technologies, employees can be trained on welding techniques with audio, visual, and haptic feedback to instill proper technique. As they become more adept the simulation feedback can be removed while still simulating a weld and generating data points about quality of final product. All of this is done using plastic place holder parts which helps to reduce the cost of training since you don’t need materials or other necessary consumables. Augmented reality (AR) is a bit newer than virtual reality but the implications of how it can increase productivity are tremendous. Since AR utilizes real-life imaging while overlaying computer graphics in real-time it is a great tool for assemblers and machine operators. Think of that complex assembly you have and how many work instructions come with it. Now think of your assembler having to reference the work instructions. Although it may seem like minimal time for each step, the assembler must shift their attention from the assembly to the work instructions and back in order to complete each step properly. It may not take much time to look back and forth however there is additional time spent in quality assurance and even more time not accounted for in focusing and re-focusing on the assembly and work order. This is a huge problem for those assembling complicated wire harnesses due to the amount of connections and minimal tolerance for error. One amazing implementation of AR in manufacturing is how Boeing has reduced production time for their wire harnesses by 25% by utilizing Google Glass and AR technology. This technology is also great for remote support and machine maintenance. Given the capabilities of AR headsets, if a machine operator experiences an issue in the engineering of a part or a machine goes down, they can seek remote help first. If they are having issues with a nest or part to be cut, they can remotely contact the engineer who created it, utilize the onboard camera and video streaming, and walk through the issues they are having. If a machine stops operating, they can contact their machine maintenance technician remotely, walk through the issues they are having, and show them anything that looks out of the ordinary through their glasses. This helps the machine technician troubleshoot the problem remotely and know exactly what they will need to bring on site to fix the issue. Aside from resolving issues, AR headsets can be used by operators to scan the specific job they are working on, see where the job is to go next, and receive real-time adjustments made to work instructions. The main benefit of AR is productivity increases. With this technology you can put yourself in someone else’s shoes, or vice versa, and provide solutions in a timely manner without the cost or waste of time traveling. No, this is not the beginning of a science fiction movie in which the machines take over. Instead artificial intelligence affords us the capabilities to analyze vast amounts of data quickly and accurately. With the correct data manufacturers can begin setting parameters for automated purchasing and quote acceptance to further increase productivity and profits. Without AI we rely on humans to analyze data and report their findings. The issue with this model is that the amount of data manufacturers produce makes it difficult to keep up with not only analysis, but in finding effective solutions. When implemented fully AI can be used to analyze profit margins on parts or projects and analyze commodity markets for pricing trends. In theory, if all data can be collected from every process of manufacturing then AI will be able to optimize parts or projects by suggesting different methods of engineering. Whether it be suggesting a new work flow for a project or changing machining parameters, AI can facilitate more educated decision making in your operation. This technology can also be used in purchasing materials at optimal times. When many manufacturers utilize this technology and need to place an order of a specific material the orders can be grouped together to receive a bulk order discount. It can also be used to analyze trends in the pricing of material and notify the purchasing manager to purchase material when the price is lower than average, even if they are above their stock requirements. This type of intuitive purchasing can help keep costs at an absolute minimum. In order to become a completely digital shop manufacturers must utilize the industrial internet of things (IIoT) to have the ability to collect and analyze data from all aspects of their operation. Machines being produced today already come with these functionalities. That said, you don’t have to go purchase a brand-new machine to access these functionalities. There are solutions and sensors on the market now that afford you the ability to track and analyze certain machine data. Having this sort of transparency allows for a new era in manufacturing that empowers employees to make more informed decisions through data. This shift will not only free up time in the decision-making process, but also allow for further research and development to improve all aspects of your facility. The digital thread allows manufacturers and suppliers to operate more like Amazon by receiving information from all facets of the operation. Need a new laser lens? In the future your supplier will know how many hours have been run on a laser and auto-ship a new lens once the threshold you have set is passed. Have a hot part or order that needs to ship tomorrow? With a connected shop the sales person can accept the quote and the system will notify the proper people involved, automatically reschedule the orders according to capacity and other requirements, and push the new order to the work station. With these new technologies and the IIoT, gone are the days of paper travelers and scheduling boards. No more frustration trying to find an order or part in your shop. Technology is changing the way we manufacturer. Are you working to become more digital? Contact us today to learn how we can help!